The CBF Crossing Ariccia to Nemi! 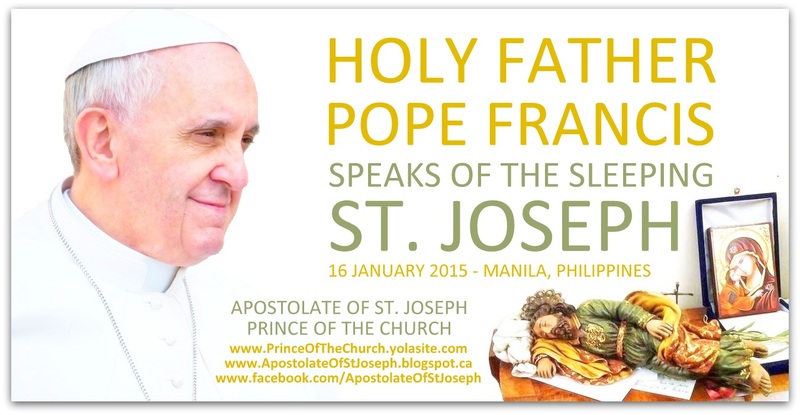 When Pope Francis came to the Philippines, he popularized what we now call the image of the sleeping St. Joseph. He mentioned during his meeting with families that when he couldn’t sleep because of too many preoccupations and problems that need to be attended to, he would write down these concerns on a piece of paper and press them under the image of the sleeping St. Joseph. 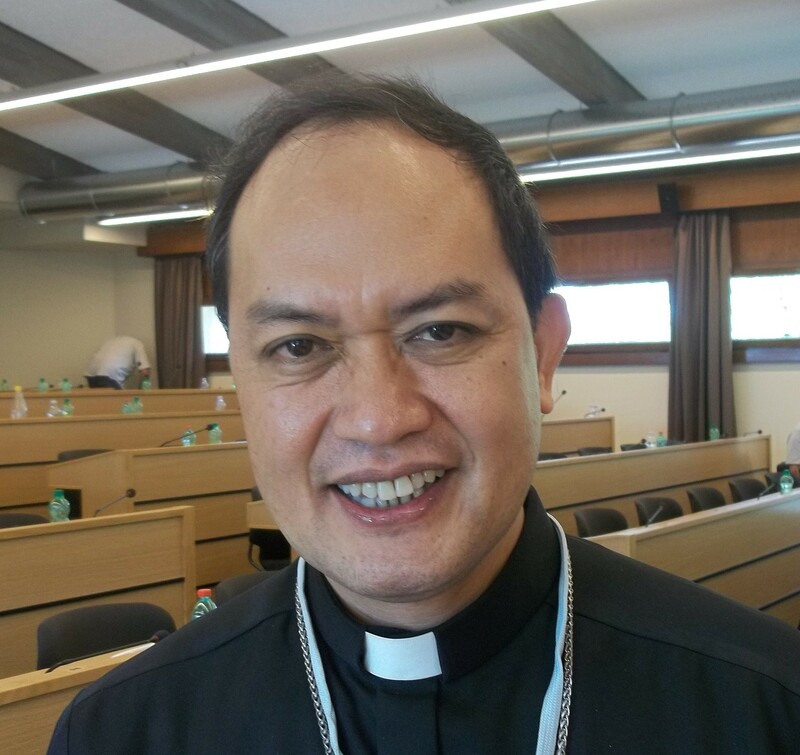 That image of San Jose Durmiendo has since become the best-selling image in Catholic religious stores in the Philippines. The last one I got even came with a day bed! My late professor Jerome Murphy O’Connor, OP, suggested to us in my student years that Jesus may have already fallen asleep on a cushion or a mat while they were preparing the boat. When the boat was ready, they must have decided to just carry him sleeping rather than wake him up. How very kind of them! And what a stark contrast to the brusque way they woke him up later! Leave the crowd. Sometimes we get to believe so much in ourselves and our efforts that we begin to behave like everything depends on us. Then we begin to act like we’re indispensable. We plan everything so well using the latest strategies in tactical planning, only to find out one day that not everything would happen as we planned them. For personalities who are the controlling type, a situation like this may be the beginning of a nightmare. You panic, and the more you do the more you sink. The controlling types of leaders and pastors think everything would stop or would go wrong without them. The result is: they soon get wasted and consumed by worry, stress and nervousness. Leave the crowd, like Jesus did, if you want to get some sleep. Sometimes, you would have a troop of fans who will say what the disciples themselves said to Jesus, “Where did you go? Everybody is looking for you!” Meaning, “You are a celebrity! Things will stop without you!” When you begin to hear something like this, you can be sure of this much: it’s the devil speaking. Watch out! As the Jesuits would say, agere contra! Don’t rest on your laurels. Leave the crowd; cross over. 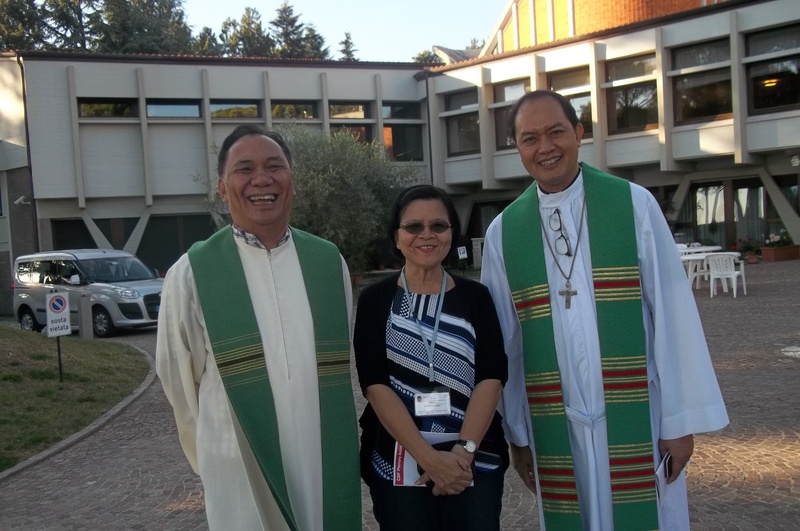 The crisis that shook up the CBF happened right on the eve of the Synod on the Word of God in 2008. The devil could not have thought of a better timing. We were like a crystal clear lake that was suddenly shaken by a turbulence. Suddenly, the water became murky and muddled up. Of all times, it was at that time that I sat in the EC to represent Asia Oceania – confused by the raging storm. Honestly, I really thought there was no way at all that we could still be saved. The atmosphere of antagonism, doubts about loyalties, fear and panic – extended for years. Correspondences did not help very much. The blame game, the finger-pointing, the mutual distrust, they only worsened the more people spoke and reacted to one another. We were like the disciples in a locked upper room waiting for the Lord to break in. Do not forget the deeds of the Lord! Remember! This is a message that we can perhaps echo to our brothers and sisters in the Middle East as they face a great turbulence called the ISIS. The long applause that we gave Fr. Ayoub after his presentation on the Middle East was an expression of our deep desire to be in solidarity. Have faith! Remember! We have been through countless tough times like these in our twenty centuries of history as a Church; remember the times when we were awed, caught in amazement by God’s saving actions. People who fail to remember will tend to dismember. Perhaps that is why we are constantly brought together around the table of the Eucharist to remember, to break bread “in memory of Him.” Remembering for us is not just about recalling a past event but about sacramentalizing it, actualizing it, making it into a reality in the here and now. Leave the crowd; quiet, be still; have faith, remember. I propose that we keep these points and make them part of our survival kit in the CBF. Let us therefore hush for a moment of silence so as not to awaken the Lord sleeping in the boat. From Ariccia to Nemi, we have crossed over the lake! 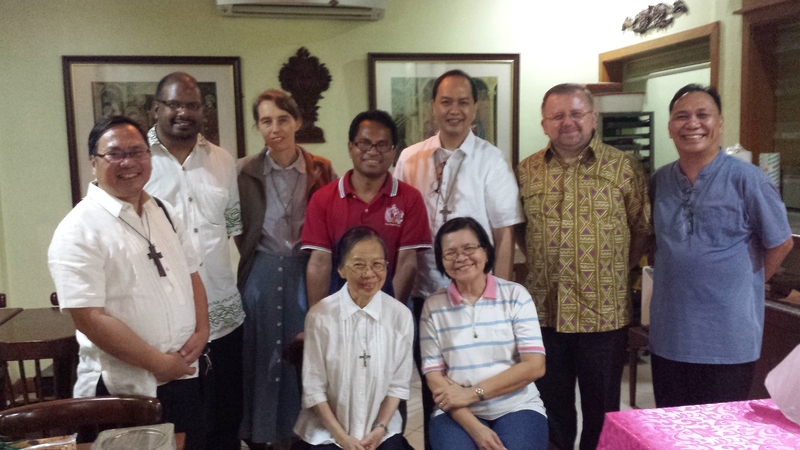 The CBF Asia Oceania with Bishop David during their recent meeting with the General Secretary preparing for the 9th PA.